In what looks like a salvo against Gor Mahia , FKF chair Sam Nyamweya has agreed with Tusker coach Francis Kimanzi and has decided that next season the number of foreigners in each time will be three, of whom only two can play at the same time. The FKF is also adopting draconian measures to supposedly ensure that only quality players can play in Kenya. Furthermore, to ensure that only the best are allowed into the country, the federation will set up standards to be met by those wishing to play in Kenya. Taking such a draconian measure and forcing teams to field mediocre local players will not necessarily strengthen the national team. For example, Germany who are the current world champions and are perrenial world beaters have a league whereby foreigners represent 45% of the total number of players. The German second tier is 31% foreigner. Clearly Germany did not become world beaters by curbing the number of foreigners. They did it via structured youth development. Every team in the German first and second tier is compelled to have youth structures which are subject to quality control by the national federation. So rather than look for easy fixes that will not raise the standards, perhaps FKF should look at youth development. Note that even when the Kenyan league was 95% local players, the national team never did well. the root causes of the poor performance has always been poor organization at the federation level and a lack of structured youth development. It seems Nyamweya is seeking a convenient excuse. Kimanzi who also has 5 foreigners would likely be singing a different tune if his own foreign contingent was productive like say the Gor Mahia foreign legion. 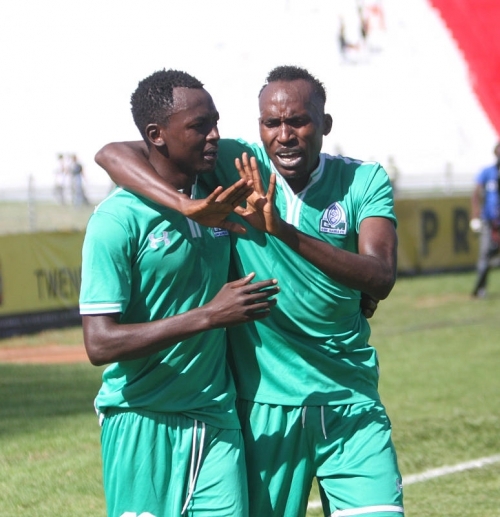 If anything, Gor Mahia is to be commended for being one of only 2 or 3 teams that have a permanent youth side. We are considering things like imposing an age limit on the foreign players allowed in our league. We also want to comprehensively deal with the issue of refugees which continues to bother us,” he explained to the Standard. Oguda is especially misguided because high quality foreigners generally make the league more exciting and thus able to draw more broadcasters and sponsors. A classic example is the video of the goal that Kagere scored against Nakuru All stars which went viral on social media. The English premier league is the most popular league in the world precisely because of the foreign contingent. Foreign players also compel local players to work harder in order to maintain their position and impart some of their excellent work ethic to local players. Local players can learn a lot by playing with excellent foreign players or watching them in training. Nizigiyimana did not become an excellent crosser by accident. He is good because he likely practises this particular skill endlessly in training. Also limiting Kenyan teams to only 3 foreign players will basically doom the local teams to always being eliminated in the opening rounds of the continental events. Even the CECAFA club cup will be a bridge too far for local teams. This is not to say that the number of foreign players should not be curbed. This is saying that the current number of 5 foreigners is already a reasonable number. It means that if a club has 25 players then 20 out of 25 will be local which means at least 80% of the players in the league will be local. This entry was posted in Kenya Football News and Commentary and tagged Kenya Premier League, sam Nyamweya. Bookmark the permalink. You can’t give examples of mature football nations then claim foreign invasion of a domestic league is best for us. It is all nice to have a supreme league but if the drivers are foreigners you have problems as England, Tunisia and Kenya find out. I support it should be limited to three in a starting XI because the reality is we do not have the youth systems you allude to and out players only succeed at home. It doesn’t close doors for foreigners but ensures only the very best come here. Aside from TP Mazembe, which is a laughing stock in DRC nicknamed “UN” all the top African clubs are built from the local base. All of them. Gor Mahia’s key players (the fullbacks and Aucho) are foreign. Let’s be sensible. Growth is going to come by supporting home grown and since we lack youth structures we can start from the league. Even in economics we speak of protecting infant industries from foreign subversion even if they are of superior quality.